Walkthroughs in Mass Effect Andromeda will be found on this page. The walkthrough will focus on the Priority Ops in game and those side missions that have a impact on endings. The other side missions you can still acquire and complete them after the main story ended, see our Missions page for more information. In game, your main character can choose different styles of dialogues from emotional, professional etc. Your journey in Andromeda Galaxy starts in Ark Hyperion, Dr. Lexi T’Perro will check your conditions. Before the examine finished, Ark Hyperion hit something and damaged your sibling's pod. Now you can check on your twin’s pod and leave the room. Or you can chat with other characters here and interact with information wall to learn more about the current situation. Meet and follow Cora to next chamber, then use the scanner to find the problem. Reset the power relay on the side of the unit and you’ll be permitted to pass. Keep following Cora to the next area. Captain Dunn and Pathfinder Alec have a heated debate in hangar. Chose to side one of them. No matter what you do, grab your gear and prepare to land on the first planet you encountered in Andromeda galaxy. At the start of this mission, you will find Liam and yourself stranded after being jettisoned. Scan everything you can in this mission to start accumulating the research points you will need in Crafting. Scan the QEC relay and the flora around here. Follow the trail of debris to come to a field being hit by lightning. Use your boost to run across it. Once across scan the fuel cell and then shoot it to destroy it and continue along the path to find some ammo. You'll get to know Liam as you search for the crew and are show how to scale across walls and ledges. You'll see a large structure emit a beam in the distance. You can choose to react and see Fisher with a new race. You can opt how you want to react and then engage with the aliens. If you don't attack them, they will attack Fisher. Take them out and check on Fisher. You'll pick up some optional objectives and will find more as you discover things. You can scan the corpse and search the debris for supplies. Check around for Items and Weapons you can make use of. From this point you can go in some different ways. The path to the right will lead you to Kirkland and three enemies. Take them out and examine him for a cutscene. At the building you can scan the door and pillar. From here you can head right to a gorge with pillars or go left to progress the mission on the main path. On the main path, head down the burning fallout of wreckage. Along the way, you will come across the atmospheric sensor. Interact with it for some info and keep going. You'll come to 3 enemies. Take them out and scan the area. At the fork in the road, you can take either to come to more wreckage. Check the shuttle for some loot and watch for the enemy ambush. Defeat them and head east of the structure and follow the radio signal to find Greer mixed up with 2 foes. Save him, mind the acid and continue going east. After passing a lightning field, a cave icon will pop up on the map. Head toward and find a tree inside along with an insect. Scan everything and head south to the crashed ship. Take out the 5 enemies and loot the area and go north towards the flares. This is the area you can get to if you platformed across the pillars you saw earlier. Head north and mind the enemies that come out of the door and keep going. Assist your squad in taking out the 3 waves of enemies. After the second wave, watch out for the cloaked foes as well as a heavy foe. Head just past the large door to find Alec. Speak to him and go with him into battle. Take out the foes and explore the building for some loot. At the control center, you'll encounter a big foe and some troops. Defeat them and another wave will arrive. Assign your squad to each side and focus on one side at a time. Once you take down a few foes, they will retreat. Help Alec get through the door. A series of events will transpire and a cutscene will play. With Alec dead, you are now the Pathfinder. A cutscene will play that shows the aliens investigating the effects of Alec's actions. After your rescue, you will be met by Captain Dunn. Ark Hyperion will travel to the Nexus, the central base for the Milky Way explorers. Once the ark docked on Nexus, head into the tram to reach the common area. Speak to Avina and then head through the area and speak to a construction worker. You'll learn some more about the dark matter anomaly called the Scourge. Take the tram to ops. In ops you will the acting leaders and crews on Nexus, and they will briefly tell you what has happened and why Nexus is looking strange. After you chat with other guys, Kandros will tell you about a mutiny and subsequent exile which resulted in a skeleton crew for the Nexus. You will then speak to the director Jarun Tann. Navigate these dialogues and you can freely explore the Nexus. There also multiple side missions you can acquire on Nexus, including First Murderer, Task: Getting to Know the Nexus, Missing Scientists, The Model of the Spheres, Comparatively Alien, Hitting Rocks for Science etc. Please see our Missions page for more information. Once you are ready, heading to Tempest and Land on Eos to start the mission A Better Beginning. Before you take off on the mission you are to see SAM on the Hyperion. Take the tram back to the Hyperion and head through the Atrium to the hallway on the right to get to SAM. You learn a little bit a bout what SAM and Alec were up to. Once you're done with the initial conversation you can redo your Profile. Once done, leave the room and head down to Alec's quarters. You can interact with a lot in this room for some background. Once you're done, go into the tram and head towards the Docking Bay. Cora will join you here and you will make your way to the Tempest. You will meet Vetra for the first time as you approach the ship. Vetra will eventually give you a tour of the ship and its crew including your Salarian pilot, Kallo Jath. You can now access the Galaxy Map and visit the Pytheas System where Habitat 1 is, also called Eos. Examine the planet and select the landing spot. Your first objective is to turn the power back on. Head to the navigation point and find a data pad in a pod with the code for the door. Use it on the door and check around inside for loot. Activate the console and you'll have to go to the power relay station. Head up the hill to the station and interact with the console where you will find Clancy Arquist. He will activate the generators and you will have to turn them on. To do the first, scan the pylon and get up the scaffolding to repair it. Scan the second and activate it. Take out the Kett who arrive and go back to Clancy. He'll suggest you get a vehicle. Activate the power in the relay station and SAM will tell you he found something like what Alec had used on Habitat 7. Follow the nav to the crate north of the Tempest. Scan it to unlock a Forward Station. Head to it and you'll use the code from the Forward Station to access the Nomad! Jump in your ride and follow the nav to investigate the signal. Take the road out to find a path to the structure emitting the signal. When you get there scan all the things. Before interacting with the control panel climb the pillar leaning above the panel. 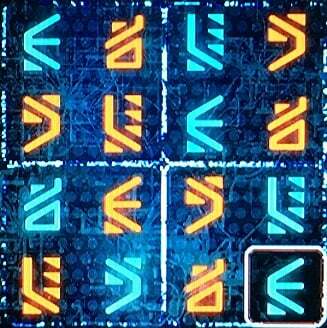 Use your scanner to find a glyph. Interact with the panel then and you'll be tackled by Peebee. Once things activate you will be beset by some robotic foes called Remnant. Defeat them and Peebeewill talk to you about what she's been researching. You have to activate the 3 Remnant monoliths. Get in the Nomad and head to the next one along the road. At the first fork, go right. Head along the road to activate a Forward Station. Head to the second monolith. You will find Remnant who are not initially hostile but will become so when an Observer scans. Take them out and you will have to find 2 glyphs. 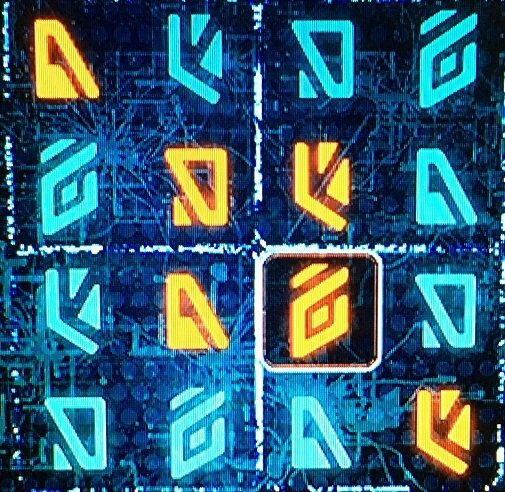 Interact with either of the consoles on the edges to activate Pillars to get you to the glyphs. If you're having trouble finding them you can use your scanner to find yellow lines that will guide you to them. Find them and scan both and go back to the panel. You will have to basically solve a puzzle by filling in the blanks, so make sure you are reading the steps and entering things correctly. You can use a decryption key to skip it if you have one but can hold onto it for harder ones down the road. If you enter it wrong, you will trigger Remnant attacks. As you leave a Kett ship will show up. You can opt to stay and fight or hop in the Nomad and leave. Take the road to the final monolith to find a Kett blockade. Fight your way through them and they'll send reinforcements. Take them out and climb up the base to get to the platform with the power supply. Your sensor will beep the closer you get. Interact with it to trigger a cutscene and you will meet Drack. If you have Vetra along, you'll get a different scene. Once the shield is down, explore the base for loot and info and head to the monolith. 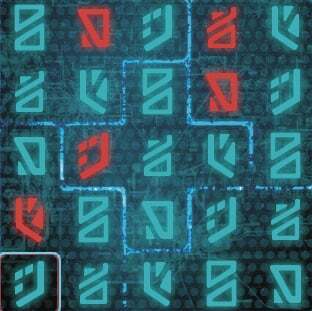 Use your scanner to find the glyphs and interact with the console. Head towards the lake and interact with the console to see a building come from the lake. Cross the bridge and follow Peebee inside the Vault. As you enter the room a door in the ground will appear. It is a gravity well. You can either jump in or let Peebee take the lead. The first room is large and you can investigate the corners for loot. Interact with the console on the high ledge and follow the wire conduit in the ground through the open door. Scan all the things! Make your way to the next door and interact with it to continue. In the next room, Peebee will find something. She suggests splitting up, choose your response. Head to the left side of the room and check out the door with the barrier. In the next room continue following the conduit to find Remnant. Keep following it to get to another group of Remnant. Take them out and keep going. Peebee will show up on the other side and gives you the lowdown. She will head through another door. Go through the door ahead and down the hallway to a large room with a gravity well and Remnant with a turret. Take them out and head to the platform across the turret where you can trigger a shield. Take them out and activate the consoles. Use the well and press on. Peebee will send you what you need to repair things. Interact with it to fix the leak and you both can go on. Use the console to get Peebee through the door. In the next large room interact with the console to raise pillars and cross to the next platform. Scan the plant and activate the console. Defeat the next batch of enemies. Activate the console on the other side of the ledge to raise more pillars. You have to make it to the island with the tree, defeat the foes and continue. Activate the console which will trigger more enemies. Defeat them and activate the last console in the room to reveal a Remnant bridge. Go across but before going through the door, walk along to the left and jump up to reach a container with some potential loot. The next door takes you to the vault core. Interact with the console to trigger the atmosphere control. Follow the nav guidance and from the well, head to the left side of the room. The barrier to the room is gone and you will find some loot inside include a decrypt key. Head to the next door to trigger a cutscene. You will make it just in time. You will establish an outpost and Peebee will join the crew. Hop in the Nomad and make your way to the site. Help Drack clear the area of 2 waves of Kett and he'll choose to join you. Activate the beacon to build the site. You will have to decide here whether to make this a Military or Science outpost. SAM will warn you that this is an important Choice. You will call in colonists from the Nexus and will speak to some folks including Bradly and Addison. Make your way back to the Tempest. Get on and you'll leave and you'll have a discussion about what's coming. You will choose how you want to lead. You can now spend some time upgrading and changing your setup and you can chat with your crew. Your codex will track your relationships with every person and will update when you speak with them. Use the map and get back to the Nexus. When you land people will ask you questions about your experiences. You can then explore the Nexus and talk to Tann in Operations. Chat with Tann, Kandros and Kesh and you'll be able to explore the Nexus freely again. Your next step is now to find the other dormant vaults and you will head to the Onaon system which can now be accessed via the Galaxy Map. When you're ready chart a course to trigger a cutscene. The kett will beset you as you travel. Kallo will get you out and to your destination, Aya. This will be your first meeting with the Angara. Once you're in the control, follow the governor and follow their rules. Don't scan anything or you'll get gunned down. At the end of the tour interact with the door by Paraan Shie to trigger a cutscene. You will meet Jaal for the first time and he will take you to see Evfra. You must gain their trust. For now, you can only access its docks. You can pick up some quests from Avela and Sohkaa if you'd like. Talk to Jaal when you're ready and hop back onto the Tempest. You will have to help the Angara on either Havarl or Voeld. You can chat with squadmates and crew at this point for their take on matters. You can complete your main aid objective in Helping Havarl's Scientists or by completing a chain of missions beginning with Meet the Resistance and ending at Stage a Rescue. Once you complete one, the other becomes optional. You will now have Evfra's trust and can stay on Voeld to do other Secondary Ops. When ready to advance the mission, speak to Commander Heckt at the Resistance HQ dock. Jaal will accompany you on this mission along with several troops. You'll come to a shield. Follow the nav to the terminal and interact with it to have SAM hack it. Go through the shield and take out the enemies. Head right to get to the entrance and head down the vents to a large room with Kett. Take all of the Kett out here and loot the room. Speak to Heckt and then climb up the ledge and follow the nav to a room to the east. The doors will lock. After, go through the door to the east that leads to a hall. There is an optional room to the south with some loot and info pads and stuff you can scan. Turn around and head to the opposite end and you'll find a room with datapeds and scannables. Go back to the hall and head out the door to the east. Ahead you will find some foes to take out. Interact with the console here to trigger a cutscene. Head through the door to the north for some optional objectives like scanning the hologram or listening to the Archon's speech. Head out through the south door and then go east to reach the next area. Hang a left over a hall with glass floors to see the Angarans. Continue east and head right to another hallway. To the right you will find 2 containers to loot. Keep heading east to the main corridor. You will find a lot of Kett here. Take them out carefully using cover. By the north you can scan a Kett core encryption tech in one of the rooms on the ground floor. Scan it and head back up towards the navpoint to the destructible vents. Open the northeast door to trigger a cutscene. Defeat all of the Kett in here. Speak to Jaal and after the cutscene, you'll come to another room. Defeat the enemies here and go west and then Northwest to get to the shuttle bay. You'll have to take out the Cardinal, who is an ascendant. To damage her you have to wound the Cardinal's Orb. She has a projectile electrical field, a grab attack that is usually a ohko and a mid range orb beam. Just keep moving and stay out of melee range. Figure out her patterns and when the orb goes down, go all out on her. Eventually Kett waves will arrive. Take them out and then return to going after the Cardinal. When down to a third health, more Kett arrive. Repeat and defeat them all and the Cardinal. Speak to the Moshae to trigger a cutscene. You can either destroy the facility, preserve it and kill the Cardinal or preserve the facility and spare the Cardinal. How you choose has ramifications for the future. To get Moshae to saftey you will have to get past Kett fighters. Stay within Moshae's barrier. At then end you will have to take out a Fiend while you wait for extraction. Stay alive until the extraction and then escape. Eos is now returnable for safer exploration. When ready return to Aya with Moshae and enter the shuttle on the west of the docks to trigger a cutscene. You can explore the city, take on some quests and engage in trade. Make your way to the east and you'll have a cutscene dialogue with Evfra and Moshae. This mission will conclude and Hunting the Archon will begin. You will be tasked with finding Vehn Tereve in Kadara. Set a course for the location and meet Shena at the Kralla's Song bar. The leader of the outcasts has Vehn and is scheduled to execute so you will have to intervene. See Sloane Kelly at Outcast HQ in the NE of Kadara Port. You will have an important choice when asked why you have to speak to Vehn. Both choices have the same outcome but each determines Vehn's fate differently. If you are honest and refuse to let her kill him or say none of your business, even if you fail you can get him transferred. If you are honest and agree to the execution you can question Vehn directly but he will be scheduled to be executed. Vehn will tell you that the Kett contacted him. You will have to find the transponder. Exit the port by taking the lift from the docking area to the slums. Hop the fence or leave via the NE building to explore the planet. Call down the forward station and use the Nomad. Drive it to the navpoint on the east in Sulfur Springs. Look for a transponder below the building in the NW. Pick up the transponder and you can either do some Secondary Ops for the people of the area or head back to the Tempest. A cutscene will trigger with Drack. The squad will debate some pressing issues. H-047C: A New World and Elaaden: A New World will come up as new Priority Ops. You will complete them as you go just by traveling there so you don't have to drop what you're doing to do them. At this point you have a lot of freedom to do whatever you'd like. When you're ready talk to Gil who will locate a kett flagship. Set a course for it and fly to the flagship which is the connected to the Salarian ark. Gear up and pick your squad. Taking Drack along will give you some unique dialogue. When you get to the ark cryobay read the datapad for info and use the terminal by the info wall. Head through the cryo pod chamber and scan the kett technology and head to the medbay. Scan the Salarian body and use the terminal by the bed. Access the medical terminal at the end of the room and scan the cryo pods indicated. Revive the pathfinder. The kett will attack as soon as you enter. Defeat them and activate the terminal on the second level. You'll unlock a side door for the pathfinder and then continue through the west door. Stay in cover and make your way through the heavy fire. Keep pressing west to the outer decks and jump to the second level and head through the door to the north. Hang a left through another door, down a hallway and into a gun area. Head west through it to the door at the end. You will be ambushed here. Take them on and the Salarian crew will shop up. Eventually, the Salarains will retreat. Take out the weaker foes and focus on the Ascendant. Destroy the orb and take it out. Finish it off and loot everything and head out north from the upper level to the inner decks. You will meet up with the Salarian pathfinder. Interact with the nearby terminal to override the door. Continue through the door to the west, then head south to a locked door. To the west is another locked door but you can scan the panel near and answer that you're extra security to get through. Enter the lab and the enemies will retreat. Explore the lab and activate the terminals. Jump down to the lower level and head west. You can loot a rare container and ahead see some Kett experiments. Leave through the west exit. Take out the Kett here and exit through the NW door to trigger a cutscene. Crazy stuff ensues. Activate the terminal to reveal an exit south. Jump down to the maintenance corridor and head through. Take out the enemy and proceed west. Jump up through an opening to the right and then go left. Open the west door to trigger another cutscene showing some mad science experimentation. You will come to The Archon's chamber. Scan everything here. Scan the Remnant relic at the end of the room and a heavily altered Krogan behemoth will come in to attack. It has a firearm that generates an electric field, and it explodes into a persistent field that will damage anything that touches it. It can also charge you with a shoulder attack. It is heavily armored but is weak to fire and cryo. When you've gotten its health down some, a wave of Kett will pour in. Take them out first and then return your attention to the behemoth. At about a third health left it will go into berserk mode and regen some health and become immune to freeze and stun. Another wave of Kett will arrive. Take out the Kett while keeping an eye for the behemoth. Once the Kett are down, take out the behemoth. Once you defeat it a cutscene will trigger. You will now have to make a major choice. You can either save the Krogans on board or save the Salarian pathfinder. Whatever you choose determines who will support you going forward. If you save the Krogan, Birtak joins. If you save the Pathfinder, Raeka joins you. If Drack is with you and you save the Salarian, Drack will speak up. After the cutscene you will get swarmed by every kind of Kett. Get into cover and after the first wave a door opens letting in more. Keep going and when you get to the last room you will have to defeat the Ascendant and others. Defeat them to activate the terminal which lets you escape via a cutscene that explores your decision. This mission comes to an end and Journey to Meridian begins. Although most of the Nexus Leaders don’t agree with the plan in going after Meridian, other pathfinders trust Ryder and begin to make plans for a Meridian operation without the Initiative leaders. Integrate Ghost Storm technology with the Tempest using Tempest’s research center. After that, using vidcon station to address the crew. Then fly to Meridian in Civki system. A console east of your landing position can activate bridge ahead. Moveing forward, interface with another console to trigger a cutscene featuring a view overlooking the colossal Remnant city. Two prominent towers in the city need to be investigated, one is at the north end and the other one is to the south. Descend to the city’s ground level. On the west side of the room there is a strange Remannt artifact you can scan for some Research Data. Push through kett resistance to the east. Interface with both Remnant consoles, north and south. Follow the platforms heading north and east until you reach a Scourge-devastated area with a broken platform you can jump down from. Heading east from here, then north. Beware of the enemies in this region. Activate the bridge to connect the north and south halves of the level. Activating both tower controls can disable the barrier. After the barrier been disabled, make your way back, defeat all hostiles, interface with the Remnant console behind the turret to open the large door to the north tower. Here you can find some scannable objects provide you Research Data. Climb up and interface with the console marked with the mission navpoint. You need to use your scanner to find the correct order of interfacing with the four outer consoles. Interface with the large console to turn on the city’s flight control systems. Be careful of incomming hostiles. Defeat the Remnant Destroyer. It has several modes of attack, each suited to a certain range. Dont stay in one place for too long since It’s equipped with explosives. Target Destroyer's turrets first to limit it's offensive capabilities. Forward to south tower, (some Research Data you can earn here underneath the walkway.) then get to Core 17: Central. If you’ve activated both tower systems, proceed east. Otherwise, south. Just to the south of Core 17: Central is an encounter with several kett and Remnant. Continue east, there’s a “secret” room you can access by jumping down into an outcropping underneath the main platform. Beneath is the hidden room, locked by a Remnant Decryption Puzzle that you cannot override with a Remnant Decryption Key. There is a strange pod inside for bonus XP, and two rare Remnant containers. Open the door south to the research center and defeat the enemies inside. You can interface with the turret using the console on the ledge to the east. Or interface shield console on the opposite platform that toggles damage barriers near the south door. Interface with the Remnant console for a cutscene. The truth about the Angara is revealed. Destory two patrolling Observers after cutscene, then interface Remnant console on a high ledge to the west. Through the large door to the east, there are several scannable objects in this area, along with many kett. Wipe out rest of hostiles, then continue east, search nearby containers and exit to the far-east Gravity Well room. Activate the well to ascend the Remnant city’s command hub. Look for the hidden Adaptive Remnant Core Device beneath the console platform. Scan it, then activate the console for a cutscene where you activate the Remnant city’s defenses to fend off the kett invasion fleet. A boss encounter soon follows. After finally defeating the Archon’s Sword, a cutscene plays out, concluding “The Journey to Meridian” and launching the final mission, Meridian - The Way Home. Use the Galaxy Map interface to set a return trip to Khi Tasira (what was once thought of as Meridian), in the Civki system. Search the destroyed Remnant and any containers in the landing area, then continue to the next room to the west. The Archon has not only begun an assault on the Hyperion, but it’s also compromised and infiltrated Ryder’s connection with SAM. It’s up to the sibling to reboot the connection. Now you will play as the Ryder sibling, move west down the Hyperion and arm yourself on the way. Defeat the hostiles on your way, open the door ahead to find Captain Dunn. Help her, then follow her to reach the maintenance access tunnel. Run north and break left to get into the maintenance tunnel while Captain Dunn provides a distraction. Get to the command center room to the northwest and use the console to send a reset signal to reboot SAM’s connection with the Pathfinder. Now back to your main character, interface with the Remnant console to open the door. Make your way back to the Gravity Well to transport yourself to a docking bay. Exit south for another cutscene. While the Archon dealt a devastating blow, a weakened Ryder confidently summons a fleet of Remnant ships to aid in the inevitable war. Back on the Tempest, speak to your crew before launching the main story’s final mission. After a space battle, the Nomad is hot-dropped on Meridian’s “interior surface.”Drive southwest, down the massive canyon. When you are forced to left Nomad, prepare for kett ambush. On an upper platform to the west is a rare kett container, search it, then begin cutting through the kett troops to the southwest. After the initial wave, reinforcements arrive to help you (who arrives to help depends on your choices throughout the game). In addition, any Pathfinders you’ve helped along the way (such as in the quests, “Turian Ark: Lost But Not Forgotten” and “Cora Harper: Asari Ark”) make an entrance to help you out in this final culmination with the Archon. Defeat the rest of the hostile troops, then search the bodies and containers in the area. Proceed to Meridian control, interface with the nearby Remnant console to reveal a Gravity Well. Take the Gravity Well down, deep into the Meridian vault. After you deal with the enemies here, make your way south through the massive vault. Exit the hall into an open area consisting of large platforms, a large kett force will ambush you here.You can try to throw or knock them off into the abyss below. Defeat the kett reinforcements, search for containers , then proceed south to a Remnant console . Interface with the console to enable a bridge leading east. Cross the bridge, turn right, then move south until you reach another bridge-enabling Remnant console. Interface with it to raise a bridge to the west. Keep move forward, going south into a large auditorium-like room. Defeat next wave of kett, moving forward and deal with the enemies on your way. After cut scene, there is a large number of enemies awaiting. After you clear this area, search for containers, then use the Gravity Well to continue to the final area to confront the Archon. There are containers you can search on the entrance pathway to the Control Heart. At the end of the area is a Gravity Well. Use it to transport yourself around the heart of Meridian. Search the container behind you, then proceed all the way south when you’re ready for the final boss. The first stage of final boss battle, you need to eliminate all enemies to trigger a cutscene. (Also changes the terrain). In the second stage, disable power relays to weaken the Archon’s connection with the Architect. Remnant units spawn on your way to the navpoint. Clear the first group, then reach the relay to the northwest, fortify and defend the position while your sibling works on hacking the Architect’s conduits. Keep attacking Architect’s targetable head conduit while your sibling distract it. When the power relay console is ready, this battle will proceed to next stage. At start of this stage, your sibling will direct you to a console in the westernmost part of the area. Interface with it to raise platforms you can use to cross. Cross to the south section, protect yourself using covers. Let your sibling to bridge the gap. When your sibling completes the bridge hack, defeat the rest of the Remnant enemies, then cross the chasm to the north using the raised platforms. Use cover to deal with enemies on the way, then proceed to your navpoint. Stay within the confines indicated by the radial markers on the floor while taking out enemies. Destroy the head conduit of Architect, but beware of its attacks. Once sufficient time has passed, interface with the nearby power relay console, then eliminate any remaining threats. Return south to the central Remnant console (facing the Archon in the distance). Activate it to completely disconnect the Archon, effectively beating the main story.